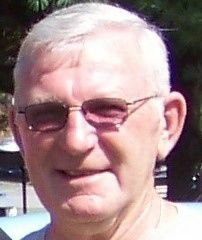 Gary L. “Pete” Bussard, 78, of Locust Drive, Everett, passed away on Friday, April 12, 2019, at UPMC Altoona Hospital, Altoona. He was born Nov. 18, 1940, in Clearville, the son of Raymond and Anna Belle (Weicht) Bussard. He is survived by two sons, Douglas Bussard, married to LeAnn, of Bedford, and Trevis Bussard of Chambersburg, and numerous nieces and nephews. He was preceded in death by siblings: Mildred Marie Beegle, Raymond Robert Bussard, Betty Jane Wigfield, Carl Dewey Bussard, Faye Arlene Foster, Boyd Franklin Bussard, Dennis Duane Bussard, George Delmar Bussard, John Roger Bussard and Thelma Louise “Peg” Hale. Mr. Bussard was of the Protestant faith. He was a member of the Everett Sportsmans Club and a former member of the North American Hunting Club. He enjoyed woodworking, hunting, reloading ammo and attending the coffee group at Marteen’s. He was a graduate of Everett Area School District Class of 1959 and Stephens Trade School. Pete retired from JLG Industries having previously worked at Standard Register as a printing press operator until the plants closing. Friends and family may call at Akers Funeral Home, 299 Raystown Road, Everett on Tuesday, April 16, from 4 to 6 p.m. Funeral service will be held on Tuesday, April 16, at 6 p.m. in the Chapel at Akers Funeral Home, Everett with Rev. Robert R. Robertson officiating. Burial will be held at privately at Everett Cemetery. If friends so desire, memorial contributions may be made in memory of Pete to St. Jude’s Hospital, P.O. Box 1000, Dept.142, Memphis, TN 38148. Online condolences may be expressed at www.akersfuneralhome.com.